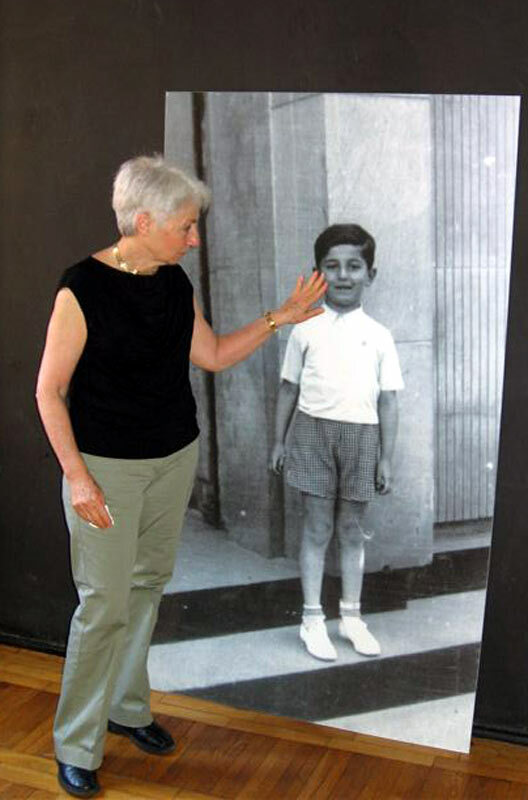 The story of a Jewish boy from Lublin which ended in Majdanek Nazi concentration camp in 1942. The photograph was taken on 5 July 1939. The boy stands at the steps of a building. The background indicates the place where the picture was taken. 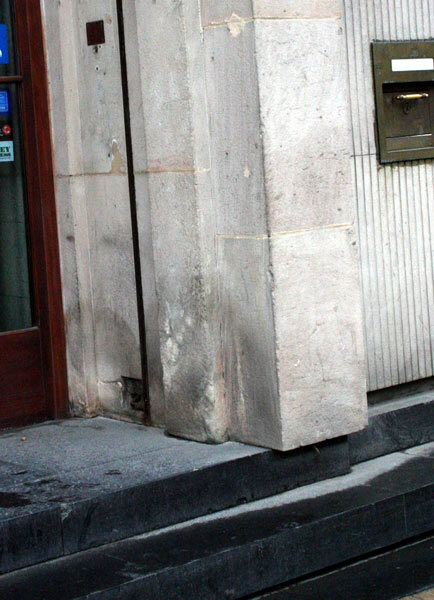 The pre-war address was: 64 Krakowskie Przedmieście Street, the building of the Bank Gospodarstwa Krajowego. The boy stopped for a moment, perhaps during a walk. 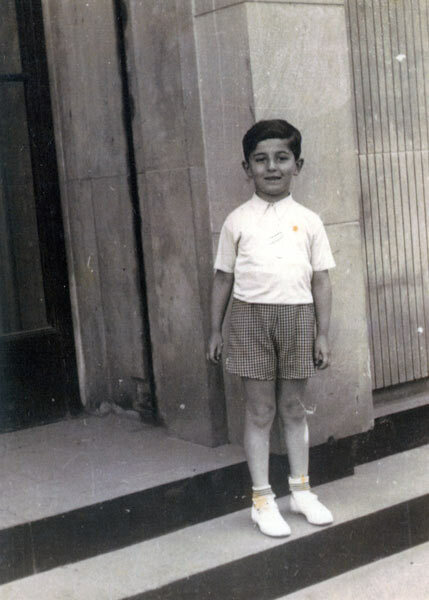 He was to start school on 1 September 1939. This is his story – a story of a Jewish boy from Lublin, which ended in Majdanek Nazi concentration camp in 1942. Henio Żytomirski was born in 1933 in Lublin. He lived with his parents Szmuel and Sara Żytomirski in a house at 3 Szewska Street. A dozen or so of his photos survived from the period prior to World War II. They show the boy at various occasions: embraced by his father, with his mother in Litewski Square, with his grandfather in Krakowskie Przedmieście Street, at a birthday party, or at the farewell to his uncle Leon leaving for Palestine in 1937. The fate of Henio during the war is not known in detail. Without doubt, after the establishment of the ghetto in Podzamcze, Henio’s family moved from 3 Szewska Street to the building at 11 Kowalska Street. From there, Henio and his father were relocated to the ghetto in Majdan Tatarski. Then they were moved to Majdanek. And it is there where Henio’s story ends. The story of the Żytomirski family has been reconstructed with the help of their relative Neta Żytomirska – Avidar, who, having visited the „Grodzka Gate – NN Theatre” Centre, handed over the albums telling about the fate of Henio and his family. Neta Żytomirska - Avidar lives in Israel. Her father is Leon Żytomirski, Henio’s uncle, who emigrated from Poland just before the war. Neta Avidar is a graphic artist. In 2007 she came to Lublin with the exhibition of her works whose subject matter concerns human feelings: hidden anxieties, suffering and desires, inspired by war experiences of her family. The albums containing information about Henio Żytomirski and the fate of his family are very special documents. Through them, the story of one person becomes the symbolic fate of Jewish citizens of Lublin who perished during the war. We were so deeply moved by the story of Henio that we decided to do something in order to commemorate him. - projects of teachers who participate every year in the action „Letters to Henio”. A booklet about Henio has been published, containing photographs from the albums handed over by Neta Żytomirska - Avidar. The story of Henio was also included in the exhibition „A Primer. The Life of Children in Majdanek Concentration Camp" presented in the former Nazi concentration camp Majdanek, barrack no. 53. The story of Henio was an inspiration behind the multimedia presentation entitled "Henio Żytomirski. A Story," which includes archive material and photos from the actions "Letters to Henio,” as well as the song "Małe dzieci po to są" (“That’s what little kids are for”) performed by Anna Maria Jopek.